This is a record of the Ubukoe Talk "Shing02's Double Briefing Session of 'Boku To Kaku (Revolution and I)' & 'Boku To Kaku' (Nuclear and I) in Sendai" that was held on January 6, 2012. This video summarizes Shing02's report "Boku To Kaku (Nuclear and I) 2012" that was presented at the briefing session. In 2006, he participated in the "STOP-ROKKASHO Project" after accepting an offer from Ryuichi Sakamoto. He released the report "Boku to Kaku (Nuclear and I) 2006" on his website. He produced the music for the films directed by Hitomi Kamanaka, "Ashes to Honey" (2010) and "Naibuhibaku O Ikinuku (Surviving Internal Exposure)" (2012) and has been consistently sounding the alarm over the danger of nuclear power. While still focusing on his "Boku To Kaku (Nuclear and I) 2012" report, he has also started the "Boku To Kaku (Revolution and I)" series in ele-king magazine. He reports on the life of citizens from Egypt after the revolution, New York and Asia from the perspective of an artist. "Shing02's Double Briefing Session of 'Boku To Kaku' & 'Boku To Kaku' in Sendai"
How we should face and consider the various social situations that have been brought into sharp relief following the Great East Japan Earthquake and how we can make an ideal gathering through which to do this. Ubukoe Talk is a place where musicians and citizens can think about the world after the earthquake together. 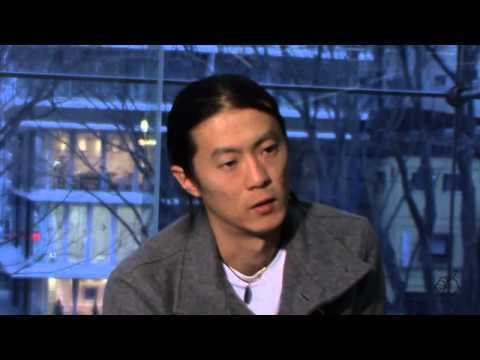 This Ubukoe Talk invited Shing02, a musician/journalist, as a guest and asked him to talk about the "Boku To Kaku (Nuclear and I)" report that he has continued to release since 2006 and "Boku To Kaku (Revolution and I)," which describes his experiences in post-revolution Egypt. After presenting his talk, he held a discussion with participants.